Postnikov, Alexey, and Marvin Falk. Exploring and Mapping Alaska: The Russian-American Era, 1741-1867. Fairbanks, AK: University of Alaska Press, 2015. ix, 525 pages. $75. 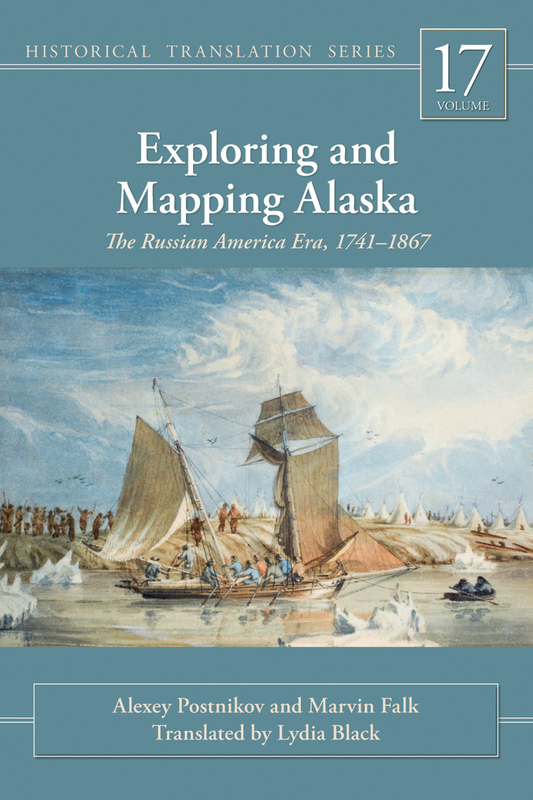 Alexey Postnikov and Marvin Falk’s Exploring and Mapping Alaska: The Russian-American Era, 1741-1867 covers its titular subjects in almost maddeningly well-researched, well-cited detail. This translated and revised edition follows the 2000 publication of the Russian original. The amount of work put into this book by Falk and Postnikov, as well as by two late professors, talented translator Lydia Black and scholar Richard A. Pierce, will be appreciated and admired by any generalist or specialist interested in the topic. Researching and authoring this work was not a job for the faint-hearted, and the decades spent compiling it paid off handsomely. I agreed to review this book not because I specialize in the history of Alaskan or Russian cartography, but because this was clearly a magnum opus covering an area that has largely received less attention in America than the mapping of the continental United States. In short, I hoped to learn more about the resources available on the topic. Rich rewards await similar readers who approach the book without a deep knowledge regarding the subject, though researchers who have made an extensive study of the area will likely gain far more from it. There are only five chapters in the book and almost no introduction other than a nod to the availability of digitized maps online. The work begins with the decades before the purported time frame, first exposing the reader to the background of how Russian explorers reached Alaska by way of Siberia. Chapters focus on the push through Kamchatka, the exploration of a possible joining of America and Asia and the resulting mapping of the Bering Strait and nearby islands, the roughly 117-year period of Russian exploration and mapping of Alaska, and the sale of Alaska to the United States. The work progresses chronologically, and is organized within chapters primarily by expedition and/or lead explorer. The researchers paid close attention to the inextricable relationships between explorers and the locals who provided invaluable assistance in mapping the terrain. They also examined both Russian and early attempted European maps of the geographical areas in question, with plenty of nods to the inherently political nature of cartography. A smattering of maps throughout each chapter provide visuals to accompany the oft-lengthy cartographic descriptions, but due to the small size of the images, the reader will generally need to search online if they want to read text on the maps and evaluate it for themselves. The extremely extensive bibliography should assist in locating them as well as plenty of additional resources on the subject. Some design elements of the book proved frustrating. Cross-referencing each chapter’s endnotes and figures was admittedly aggravating for a work edited to turn “academic prose into a style better suited to a modern reader” (preface), which implies a certain level of readability. The design of the work requires the reader to flip between the current page, the List of Figures—76 of them, which are not always in numerical order—and the endnotes at the close of each chapter. For a work focused largely on cartography and encouraging frequent assessment of the included maps by the reader, this could have been designed better. Cross-checking of the authors’ points was further hindered by the small size of the images. But these are minor annoyances in an otherwise impeccable book. Any academic or personal library with a collection focus on cartography and exploration, even one that does not otherwise focus on Alaska or Russia, would benefit from including this key work in their holdings. While the images and figures could have been designed better, the well-translated prose is by far the more important part of this work. The authors brilliantly contextualized the history of Siberian and Alaskan exploration and cartography and the final sale of Alaska to the United States. This translation and revision of their work is a solid addition to the literature in this area.